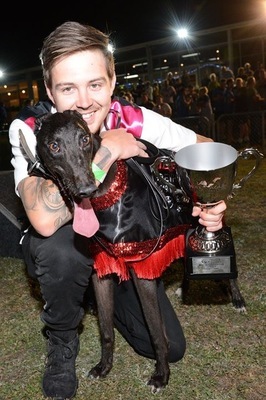 Favourite Dyna Hunter celebrated a deserved country cups triumph when enhancing his perfect record from box eight in the Group 2 Warragul Toyota Cup Final (460m) on Saturday night. It was a case of fourth time lucky in a provincial feature for Dyna Hunter and trainer Steve Collins, with the son of 2014 Melbourne Cup hero Dyna Villa having run second in the Ballarat Cup and fourth in the Healesville Cup. He was also scratched from the Geelong Gold Cup due to injury after winning his heat. Dyna Hunter qualified for the $47,000 to-the-winner Warragul Cup after running second in his heat, when run down by fastest qualifier Elevated in 25.48sec. Drawn perfectly in box eight, from where he boasted an unblemished six from six record, Dyna Hunter started $3.40 favourite in a keen betting affair, ahead of Orson Allen ($4.40), Big Flood ($4.60) and his heat conqueror Elevated ($4.90). Dyna Hunter came out running to lead youngster Jebrynah ($10.20) and Big Flood and forged clear turning for home as he defeated the brave Jebrynah, which was having just his eleventh start, by 2.46 lengths in 25.54sec. “To win a country cup after being beaten on the line in the Ballarat Cup in December made this win that much more special! Dyna Hunter has now 17 of his 36 starts, with great credit going to the Collins family after their newly-crowned Warragul Cup victor suffered a serious shoulder injury at just his second start, only one week short of one year ago. 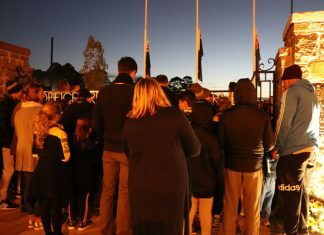 Earlier in the night, the keenly-anticipated return to the track of Rippin’ Sam ended in anticlimax, with the superstar stayer finishing at the tail of the field in the Warragul GRC Distance Cup over 680m. At his first appearance since 16 September, Rippin’ Sam started $1.90 favourite but dropped back alarmingly early in proceedings as Correy Grenfell’s Dyna Chancer ($2.20) romped to victory. 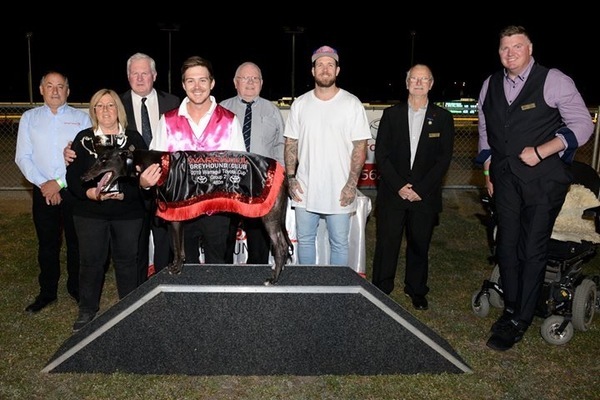 In the first of two ‘Dyna’ Cup successes for owner Brendan Wheeler on the night, Dyna Chancer, runner-up in the Group 1 Sale Cup at his previous start, claimed the $10,000 winner’s purse in a new course record time of 38.58sec. The son of another Wheeler-bred Melbourne Cup winner in Dyna Double One (2015) smashed multiple Group 1 winner Ring The Bell’s previous benchmark of 38.82sec.